Or BUY NOW with 4 interest-free fortnightly payments of $41.25 . You can tailor this lead set to suit your needs at no further cost. You can change the following. 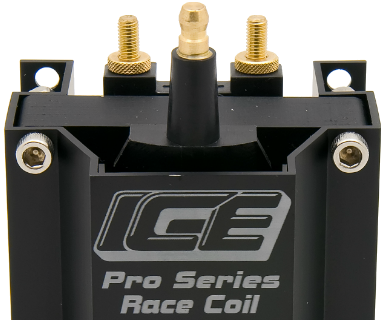 Why choose ICE Ignition Pro 100 9 mm Leads / Plug Wires? More spark means a bigger explosion in the combustion chamber, this improves performance. ICE Ignition leads / Plug Wires ensure this by minimising resistance in the leads. They are superconductive with an ultra-low resistance of 100 ohms per metre. ICE Ignition Leads / Plug Wires are made from the high-quality ultra-low resistance spiral wound copper alloy core. The alloy core is wrapped in ICE Ignition's proprietary insulation to provide maximum RF noise & heat shielding. They are fitted with stainless steel "Snap Lock" fittings at the distributor and spark plug ends. The boots are made from extreme temperature silicone insulation and can withstand high temperatures. The ICE Ignition 9FOR810 Ignition Leads / Plug Wires are a finished set of leads. Just plug them in and go! Delivers maximum spark and duration for improved performance. Built-in Radio Frequency Interference (RFI) minimization. All boots made from extreme temperature silicone to withstand high temperatures. Premium "Snap Lock" stainless steel Spark Plug, Distributor Cap & Coil fittings. Ready to Install Lead Set. No cutting or terminating of leads required.